Decadence in a box! That's the best way we can describe our new gift idea. 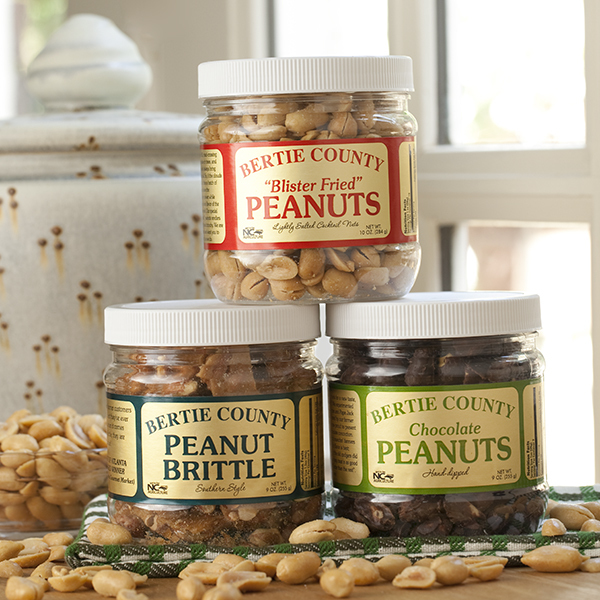 This delicious collection includes a jar each of our 9 oz. Chocolate Covered Peanuts, our 9 oz. 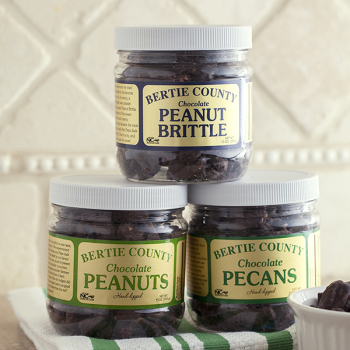 Chocolate Covered Pecans, and our new 10 oz. Chocolate Covered Peanut Brittle. What could possibly be more sinfully good? You will not make a mistake with this gift (gift one to yourself, as well). 1 jar of these is not enough! The nuts are crunchy and the chocolate is perfect. Our family grew up raising and eating peanuts, so it makes it nice to send peanuts from your "home grown" company for birthdays and special occasions. I bought several orders as gifts. All have replied and said they were the best they have ever tasted and said make this a regular thing at Christmas. I have tasted them before and agree - they are the best. I refused to order some for myself because I could eat them all at one sitting (don't know when to stop). Great selection. Great gift for anyone.